Charles Goodnight, three cowboys and one mule packed with twelve thousand dollars in gold, money received from cattle sales, and three day provisions, headed for Texas. Each rode mules but led their fastest horses in case they needed to make a run for it. 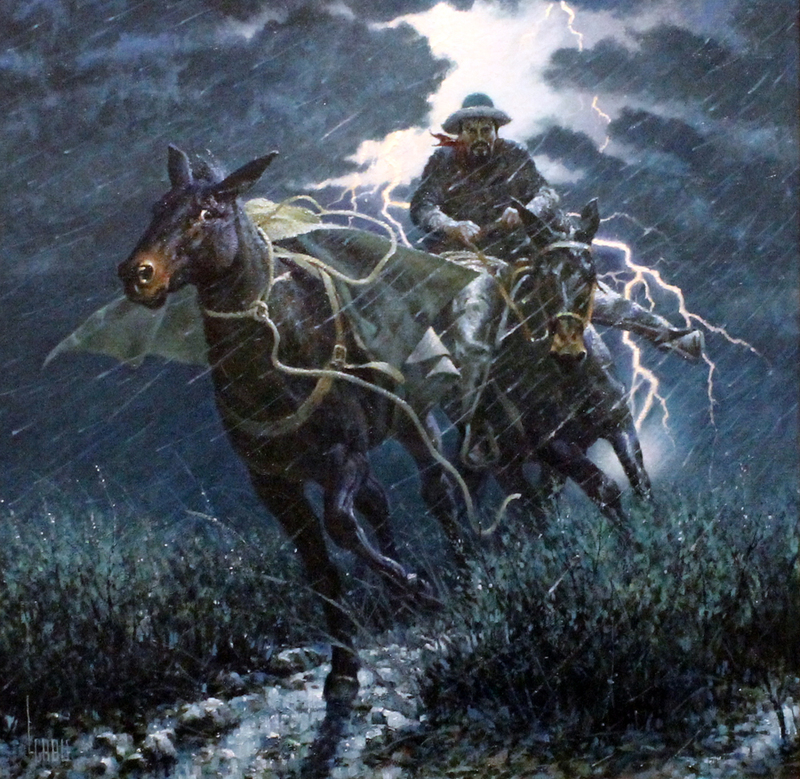 At the height of a storm along the Pecos River, the pack mule panicked and bolted past Charles “like a bat out of a brush pile”. 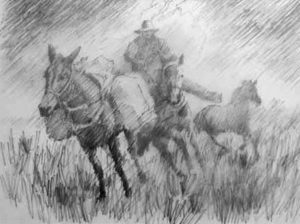 Spurring his saddle mule to the limit, he passed the runaway mule, flung himself off and grabbed the lead rope. He hung on like a badger and worried the mule to a standstill. The gold was intact, but the supplies were gone. Removed horse in background. It was distracting from the action. Having removed the horse warranted a different composition. Introduced an open path for the mule to draw the eye into the action. Lifted the mule’s head, changed the position of it’s leg and opened up the pack to create more movement.